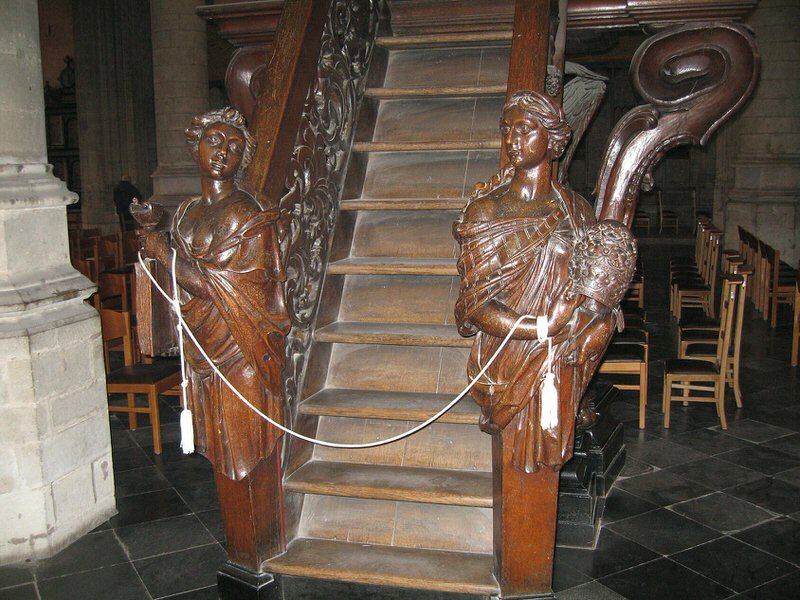 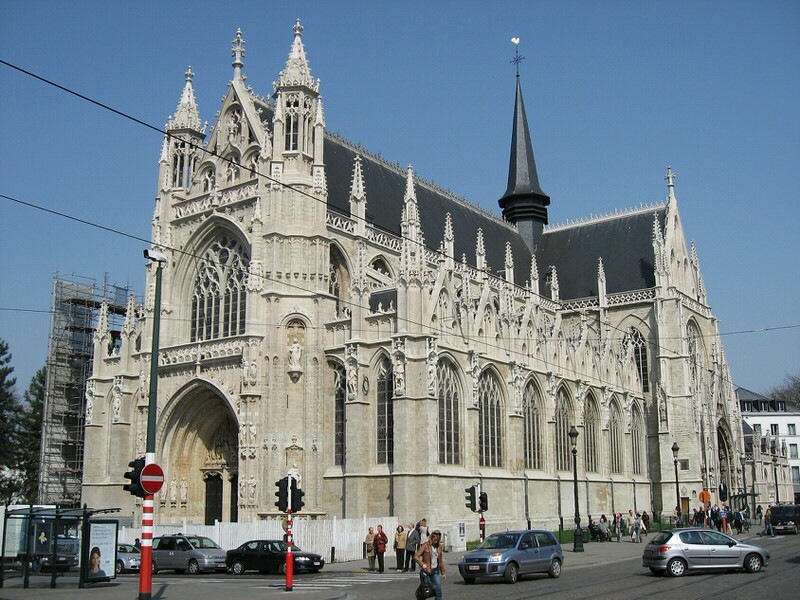 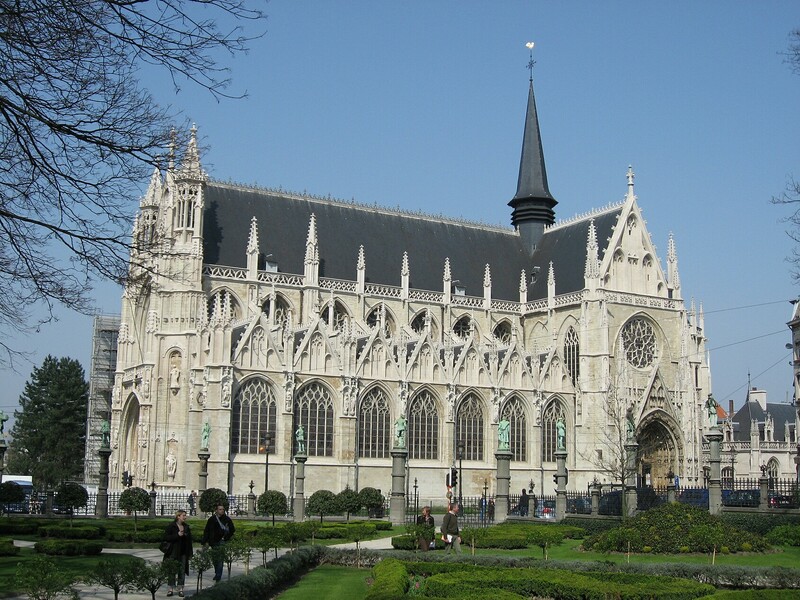 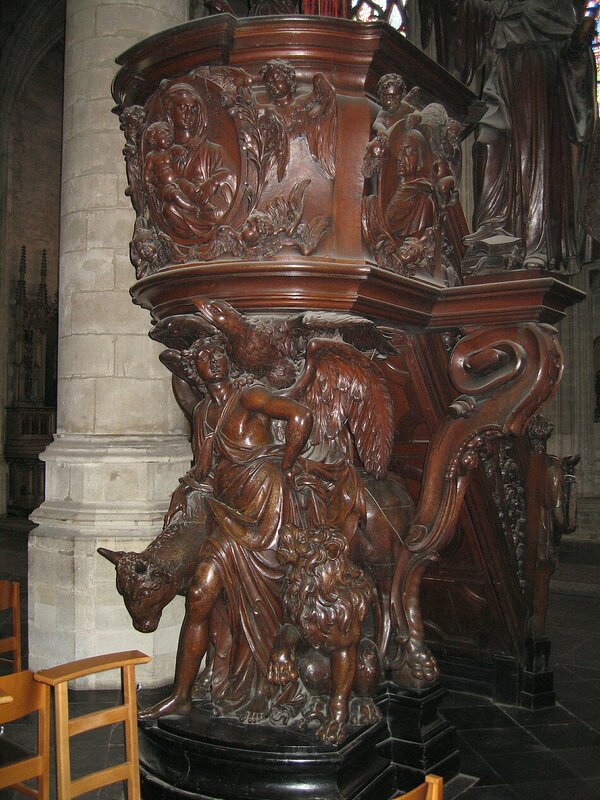 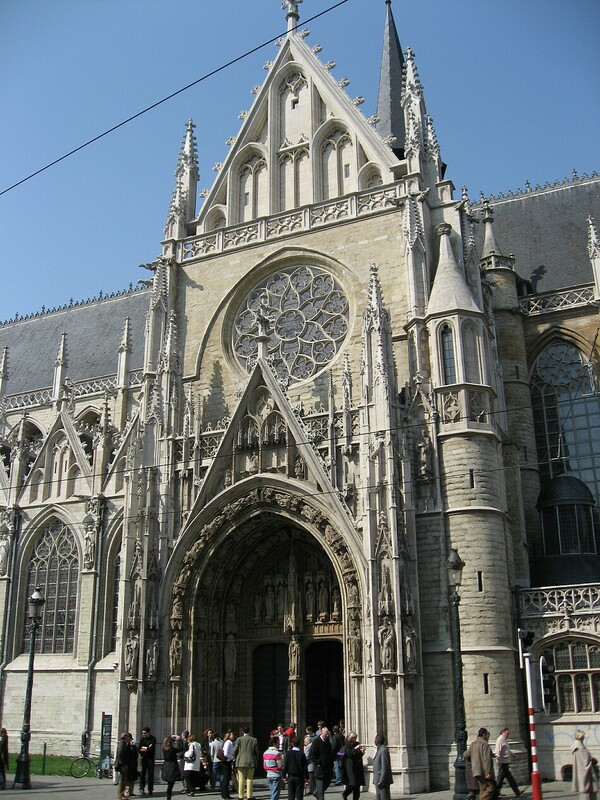 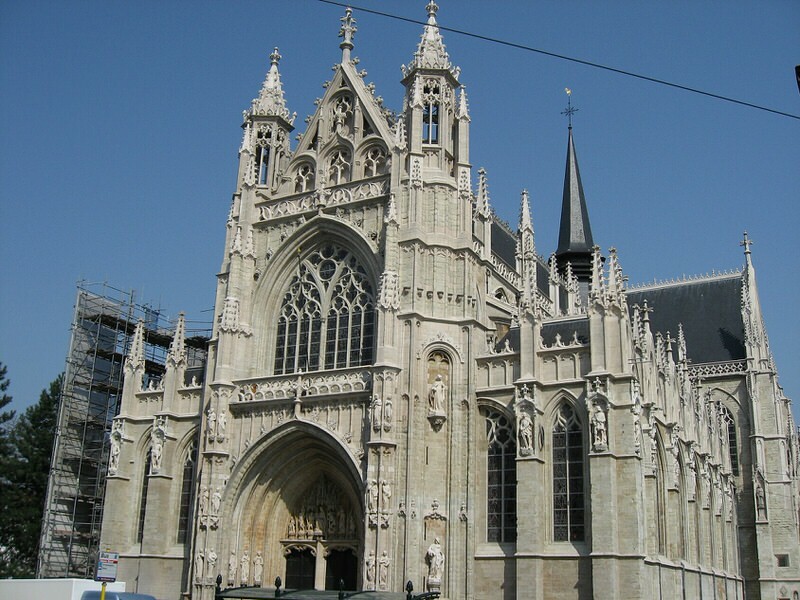 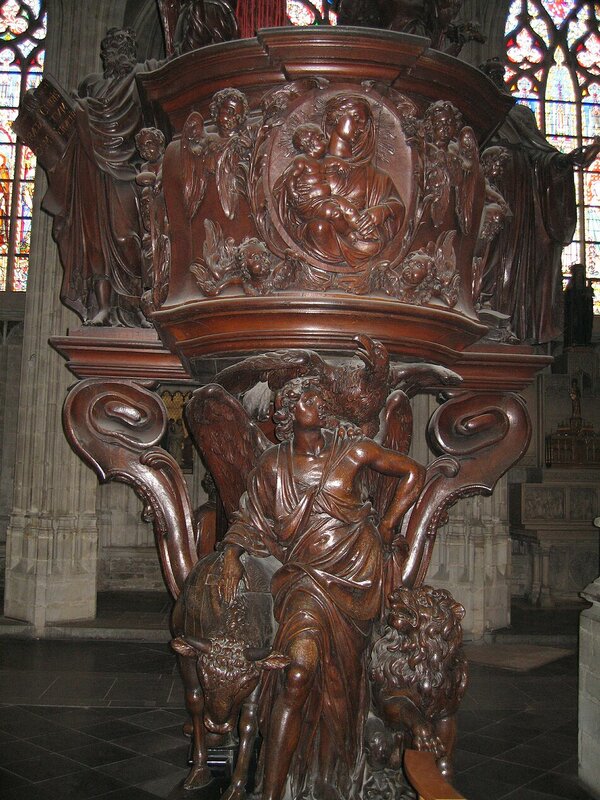 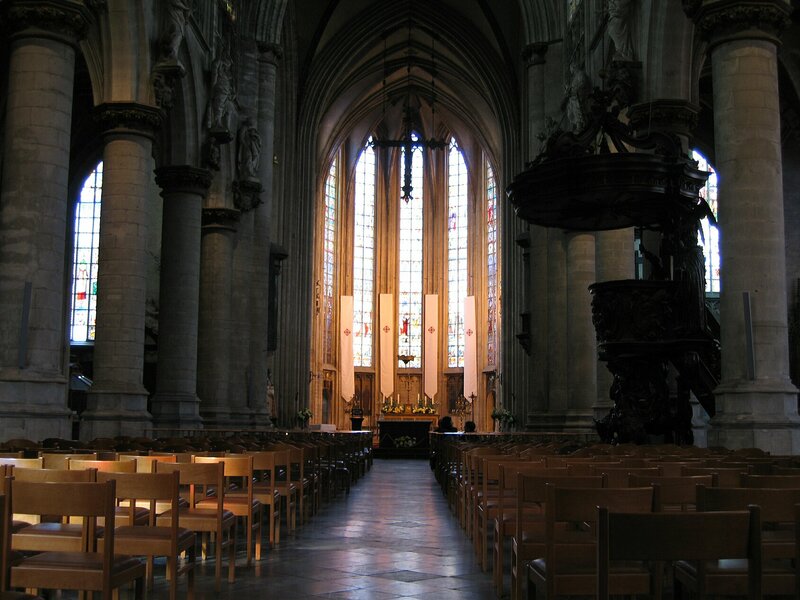 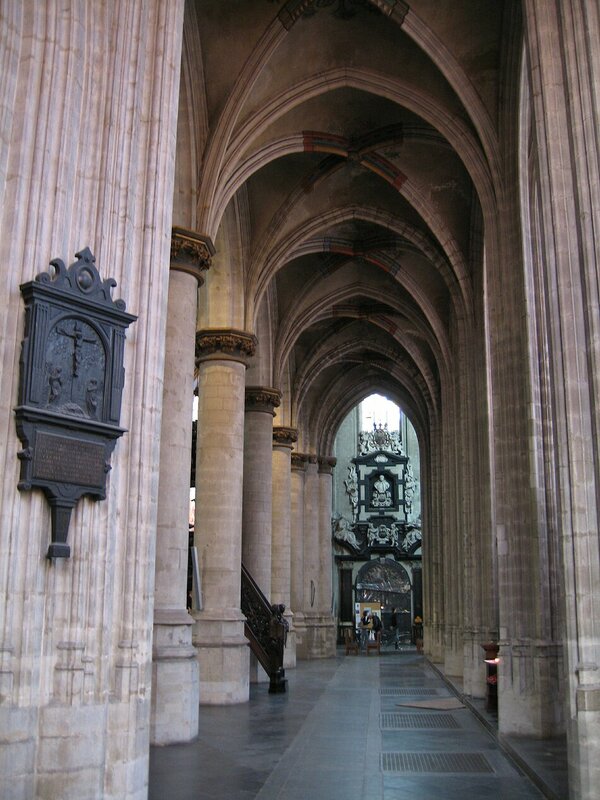 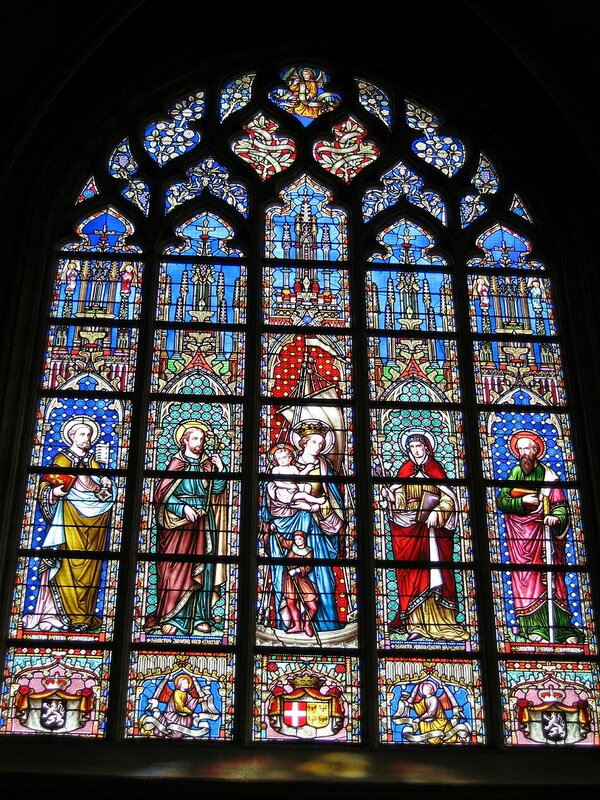 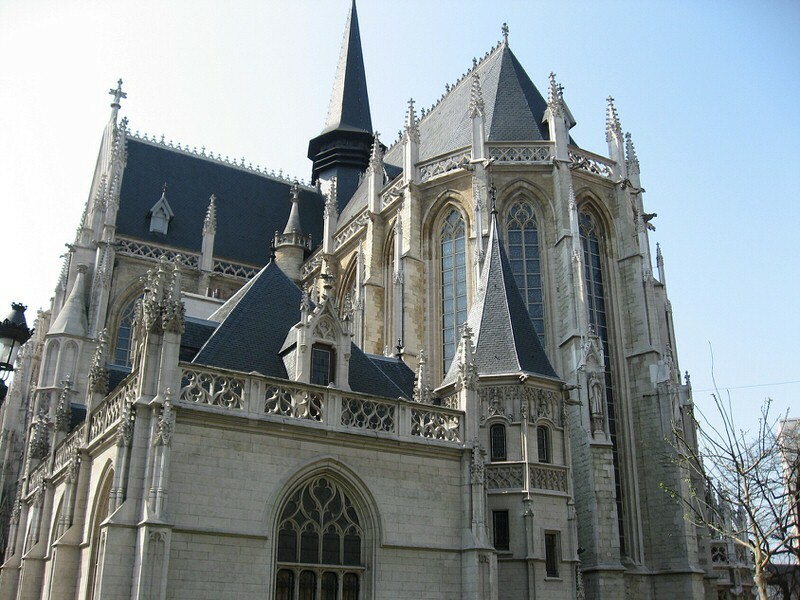 Church Notre-Dame-du-Sablon – Originally a small chapel erected by the Guild of Crossbowmen in 1304 this Church went a long way to become one of the most impressive architectural achievements of Belgium. 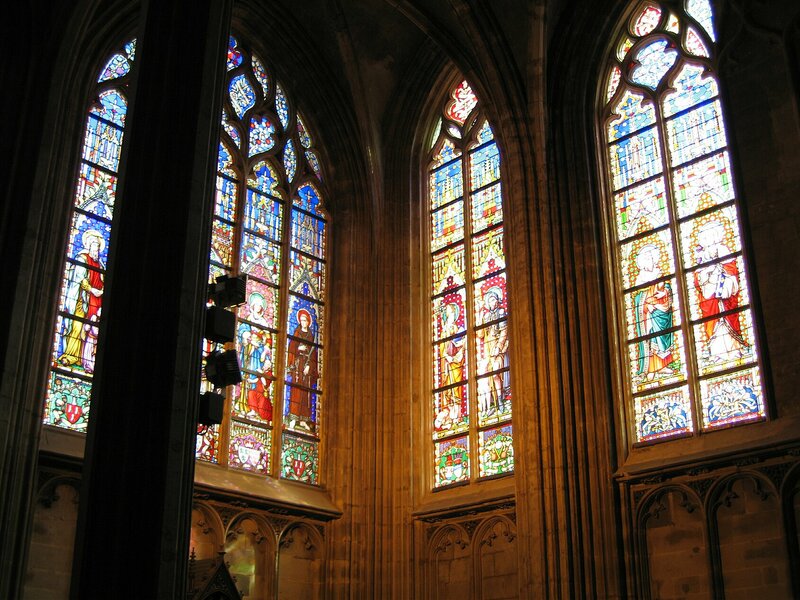 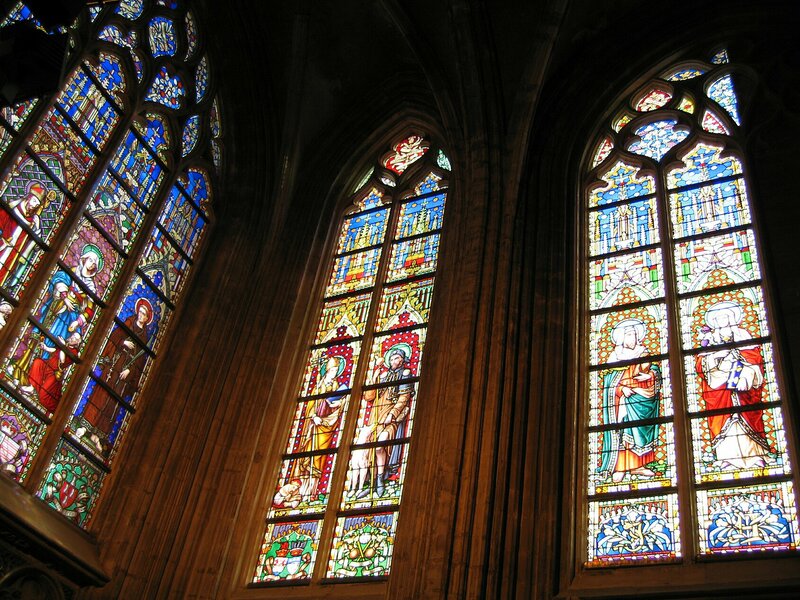 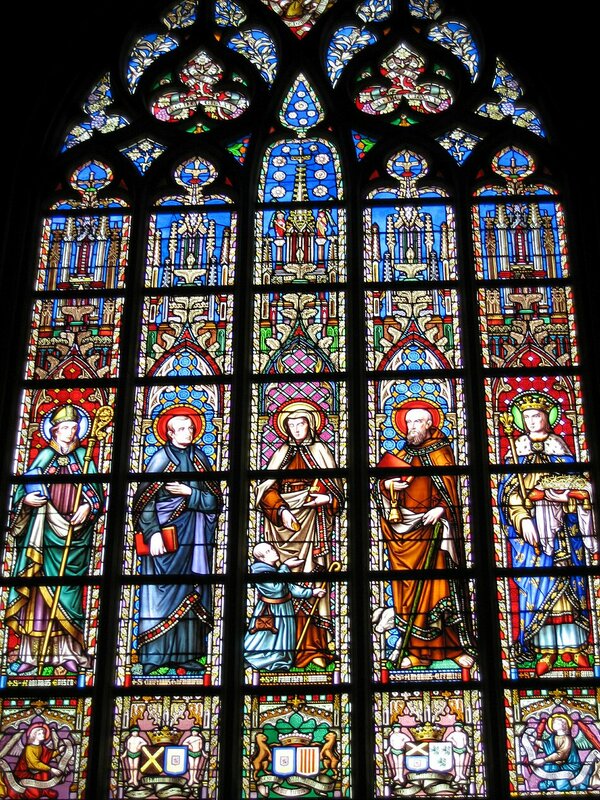 The Church that we know of today was finished in 1550. 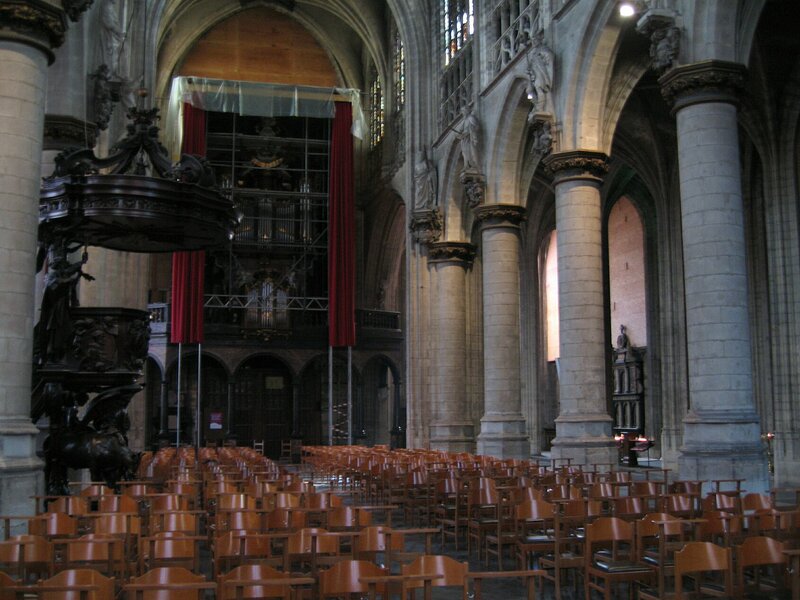 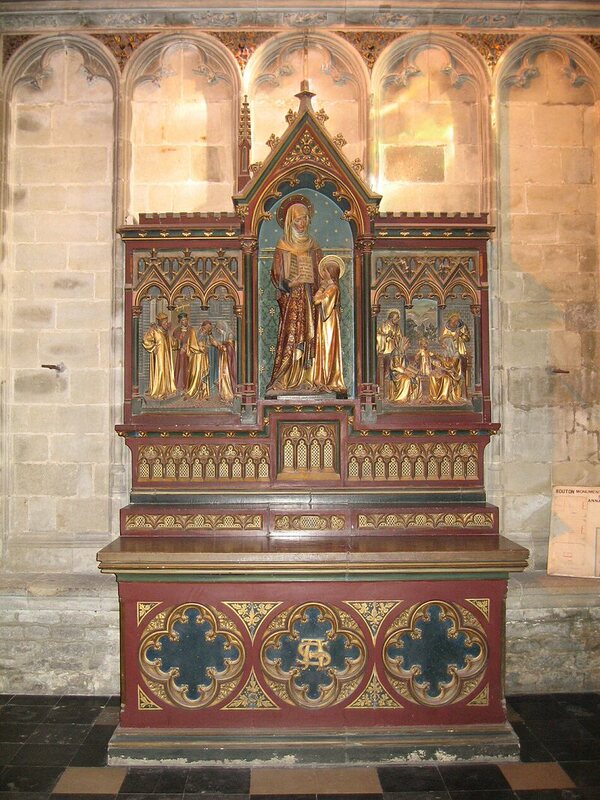 A magnificent restoration process went underway in the begin­ning of the 20C. 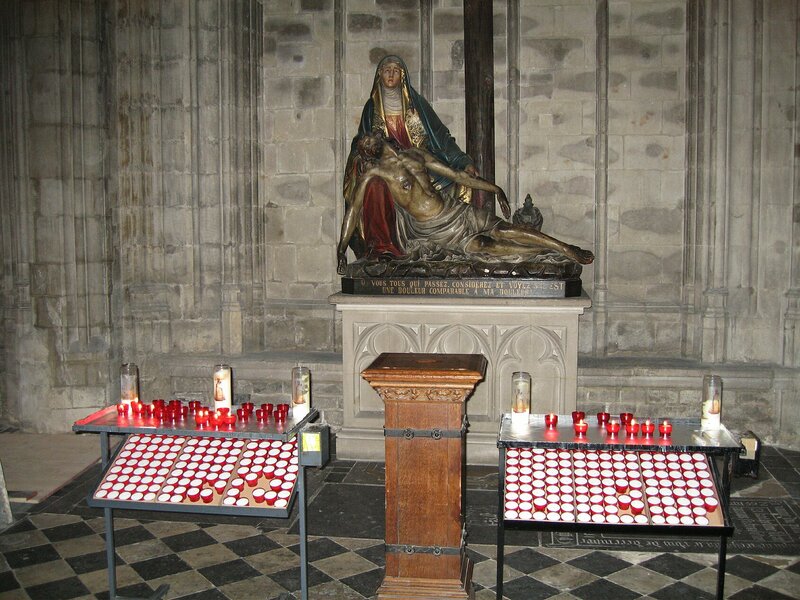 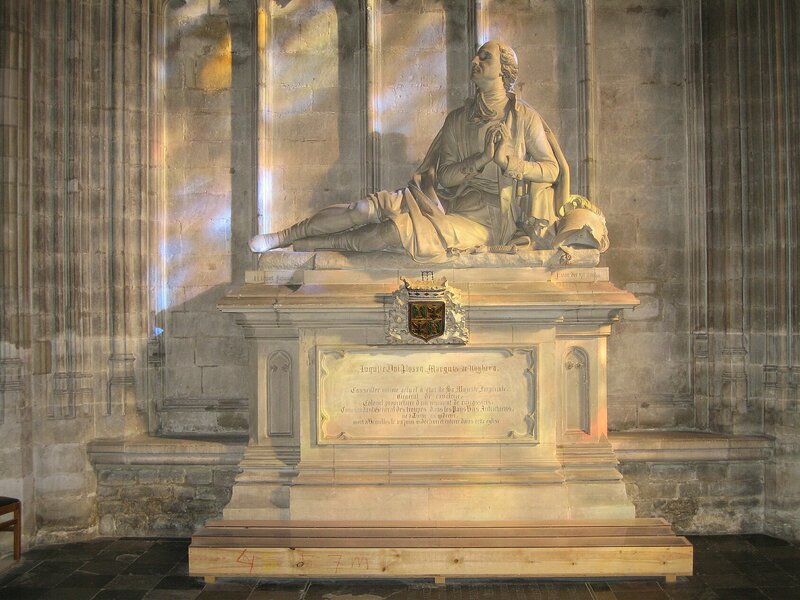 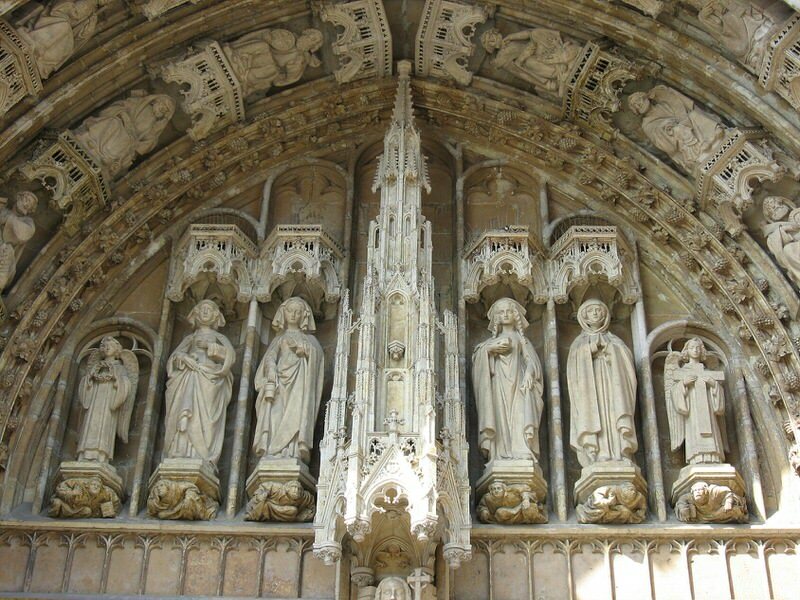 In the north transept is the tomb of French poet Jean-Baptiste Rousseau (left of the entrance). 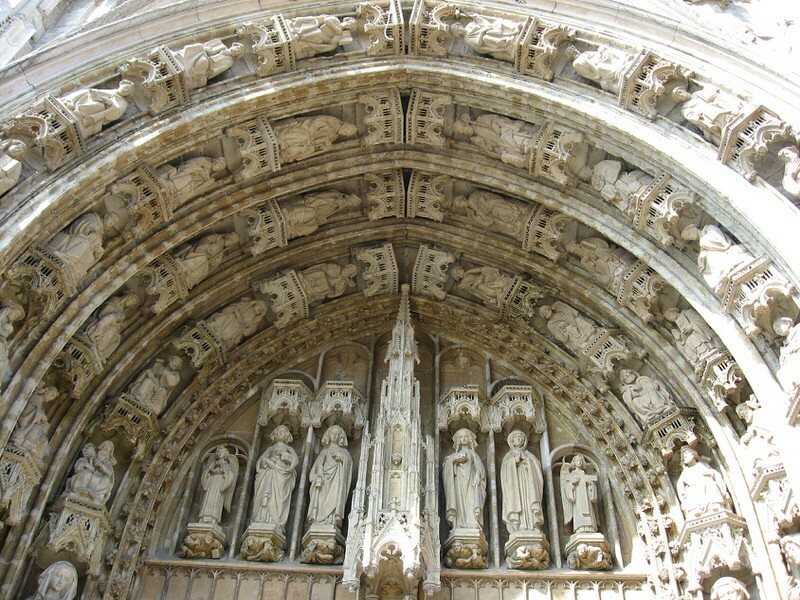 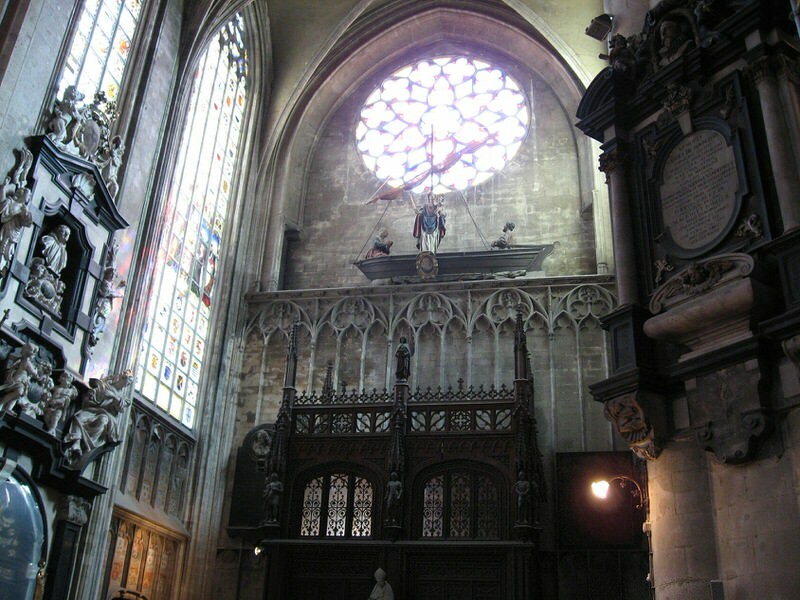 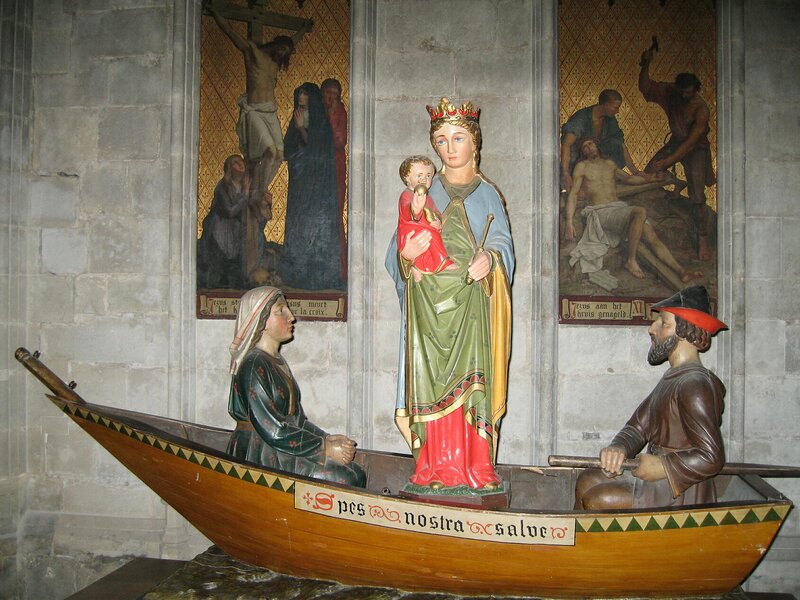 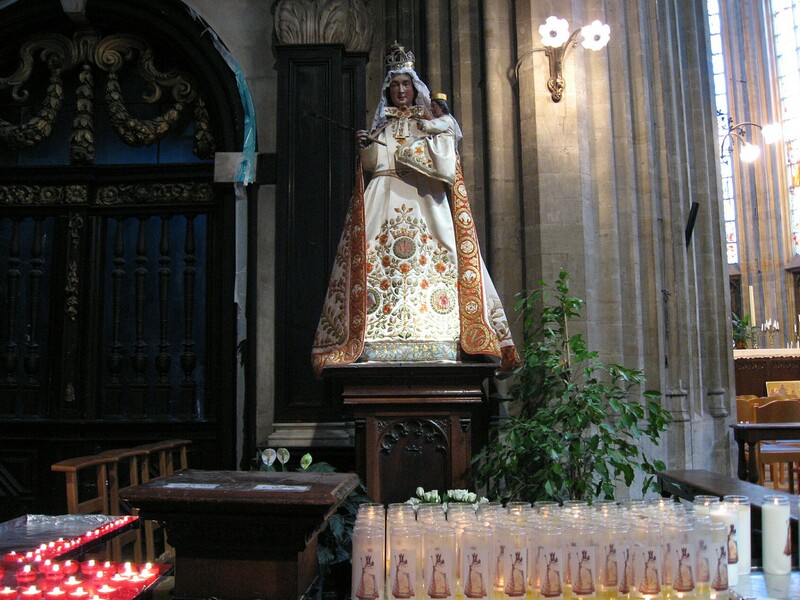 Above the entrance is a statue of the Virgin Mary in a boat.